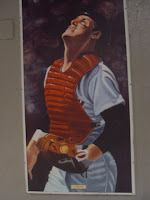 Carlton Fisk is a catcher who played for the Pawtucket Red Sox in 1970, when they were a humble double-A team. He was 22 years old. Through 93 games, Fisk batted .229 with 12 home runs. He had seven errors and ten passed balls. 1. In the year 2000, the State of Rhode Island and Providence Plantations officially passed a senate resolution congratulating Fisk's admission to the HOF. Please call Tele-Times to gripe about 'our tax dollars at work'. Whereas. 2. "Almost without end." Carlton Fisk, concrete, and JD Salinger. 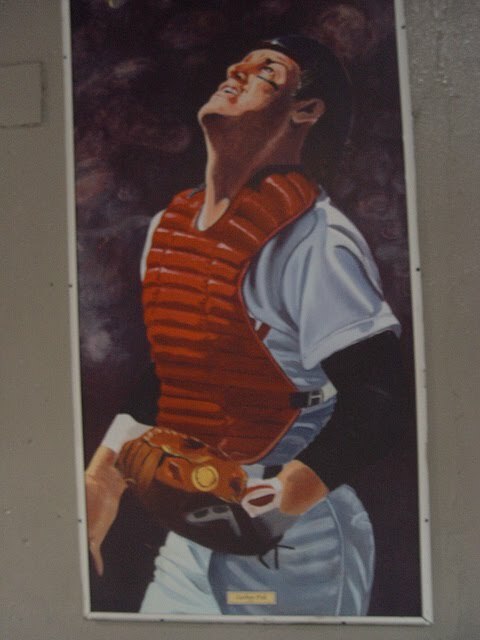 Carlton Fisk: Lobby. First base tower. Me. You. Wine. Crackers. Leo Sayer. Concrete. Be there.